Quick summary: This lesson is an opportunity for students to extend their knowledge and understanding about the environmental benefits of recycling mobile phones and printer cartridges. Students will work in small groups to prepare questions for their own “Recycle Rescue Trivia Quiz”. By creating their own quiz game, students will have the opportunity to work co-operatively, practice their research skills, learn how to organise information, develop their written and verbal communication skills, and appreciate the importance of rules and fair play. 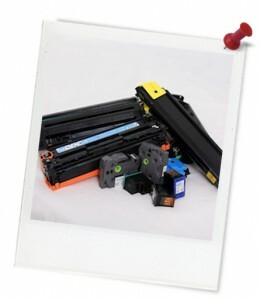 This lesson has been developed as part of the Planet Ark’s National Recycling Week and also supports the Cartridges4PlanetArk program, which collects and returns cartridges for remanufacturing and recycling – therefore keeping them out of landfill. This lesson can be run at anytime though the year or can be run as part of Recycling Week (in November each year). Register your lesson or other activities so they can be counted towards the national achievement and to receive other free support materials. Students improve their thinking and analytical skills. Relevant parts of Year 7 English achievement standards: Students make presentations and contribute actively to class and group discussions, using language features to engage the audience. When creating and editing texts they demonstrate understanding of grammar, use a variety of more specialised vocabulary and accurate spelling and punctuation. Relevant parts of Year 8 English achievement standards: Students make presentations and contribute actively to class and group discussions, using language patterns for effect. They demonstrate understanding of grammar, select vocabulary for effect and use accurate spelling and punctuation. .Level of teacher scaffolding: Medium – teachers required to facilitate and guide students in creating and playing the Trivia Quiz. Resources required: Laptops with internet access (one device per pair of students). Optional: Powerpoint presentation software, and a classroom projector. Thought Starter: What's there to know about recycling? 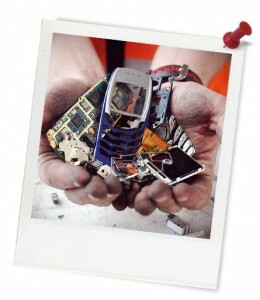 So, you already know you can recycle old mobile phones, printer cartridges. You may also know that you can recycle office paper and plastic water bottles too. Once you have finished, calculate your score out of 10 and, when invited, share your score with your teacher. Step 2. So, you've played online games... but you reckon you can create questions that are more interesting and more fun, right? With your partner write down five characteristics you think are important when writing a Trivia Quiz question that rocks!